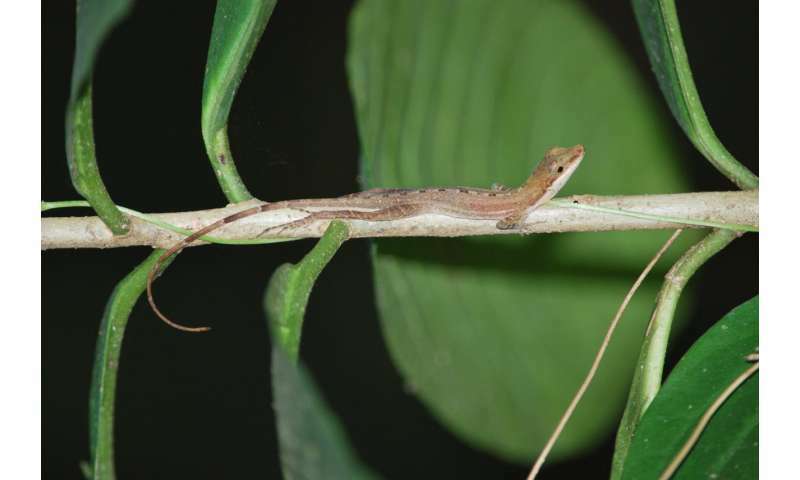 Constructing a family tree for three lizard species collected in Panama at the Smithsonian Tropical Research Institute (STRI) and a fourth from the southeastern U.S., scientists at Arizona State University compared lizard genomes—their entire DNA code—to those of other animals. "This is the first time the complete genetic code—the genome—of any vertebrate species from Panama has been sequenced and analyzed," said Oris Sanjur, co-author and Associate Director for Science Administration at STRI. 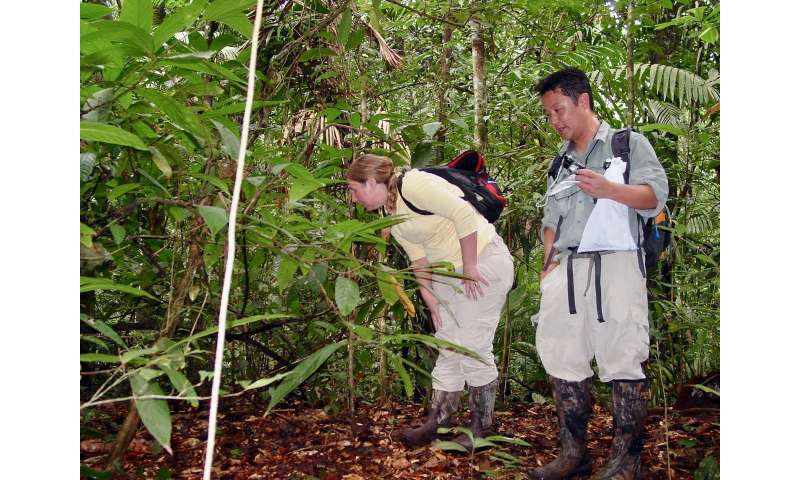 "Information from these three species is an important contribution to our understanding of biodiversity and the evolution of new species." "For 15 years, an impressive amount of time and money poured into discovering the genomes of mammals, motivated by our drive to understand human evolution and to look for cures for disease. 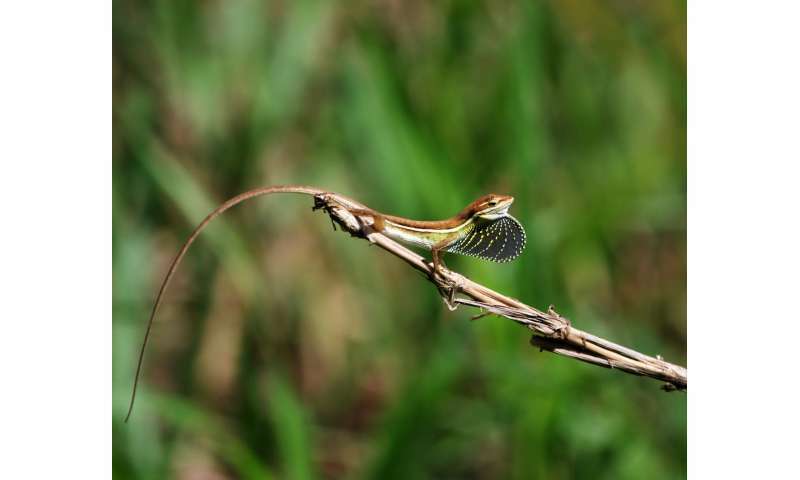 Even though the squamate reptiles include more than 10,000 species—almost double the number of mammal species—a single genome was not enough to understand the variability within this group," said the first author of the report, Marc Tollis, a post-doctoral fellow at ASU.